THE new boy caused a bit of a stir on his debut in the Cuestars South Wilts Snooker League. Lee Stagg turned over title contender Neil Herd 3-2 in his opening match at Salisbury Snooker Club. Herd, who finished third last season, recorded a 59 break. Fordingbridge cueman Stagg said: “I was very pleased with my first win on my debut. Meanwhile, Anthony Rice, the 2016/17 runner-up, made it two wins out of two. The 20-year-old from Fordingbridge clawed back a 2-0 deficit to overcome Steve Ashton 3-2. He said: “Steve really should have won the match. He played the better snooker without doubt but I probably just took one or two more key balls than he did. “I’ve had a couple of really lucky wins so far and feel like I’m yet to get going. “On paper, it was a decent result for me as Steve is a much better player than he will give himself credit for and he’s always a tough player to beat”. Defending champion John Hunter kicked off his campaign against Richard Arnold and Neil Carroll with a brace of 4-1 victories. League leader Hunter (Andover) compiled a 57 against Carroll. And David Rice (Fordingbridge) started his season with a 3-2 success over Paul Burt (Britford). Elsewhere, two South Wilts players have been on their travels on the World Seniors Tour. Carroll’s tour of Great Britain continued with a relatively short 457-mile round trip to the Pot Black Snooker Club, Lowestoft. The 53-year-old from Rownhams had driven to Glasgow a fortnight previously following excursions to Newbury and Llanelli to compete in qualifying tournaments for the Seniors World Championship. In the fourth event, Carroll received a walkover against ex-professional Les Dodd and lost 3-1 to Luton-based Paul Fryatt. Next up is a trip to Dunstable. But the sixth qualifier in Beijing may be a tad too far – even for Carroll. And a trip to Ireland brought back happy memories for Herd and his 78-year-old dad. 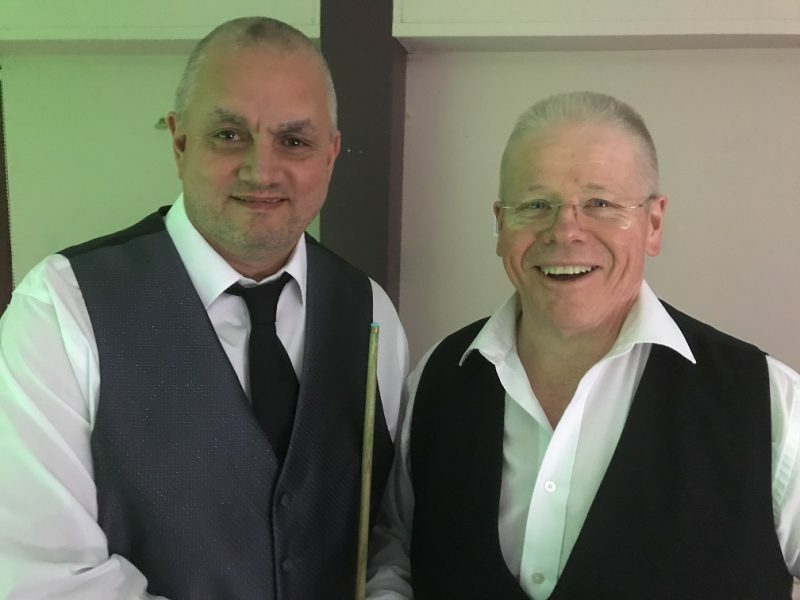 Herd – who lives in Frome – got up at 4am, drove to Bristol airport for the flight to Dublin and drove an hour to the Ivy Rooms Snooker Club in Carlow for the second qualifying event for the Irish Masters. He beat former Irish professional Colm Gilgreest 3-2 on a re-spotted black but “ran out of steam” in a 3-0 defeat by another ex-pro, Lee Richardson, in the quarter-finals. Herd, whose business Attic Life is the main sponsor of rookie professional Billy Castle, added: “I had my dad with me which was great as it was like old times when he drove me around the country playing in competitions. Results: Neil Carroll 1-4 John Hunter, John Hunter 4-1 Richard Arnold, Paul Burt 2-3 David Rice, Anthony Rice 3-2 Steve Ashton, Neil Herd 2-3 Lee Stagg.